Microsoft hasn’t announced a frank replacement for SharePoint Designer 2016 and InfoPath 2016 yet, but you can still use SharePoint Designer 2013 64 bit as well as InfoPath 2013 for use with SharePoint 2016. PowerApps is a service for building and using custom business apps that connect to your data and work across the web and mobile – without the time and expense of custom software development. PowerApps is connecting, creating and sharing business apps with your team on any device from anywhere in minutes. PowerApps is also access, capture, and share data and automate tasks and accomplish more. 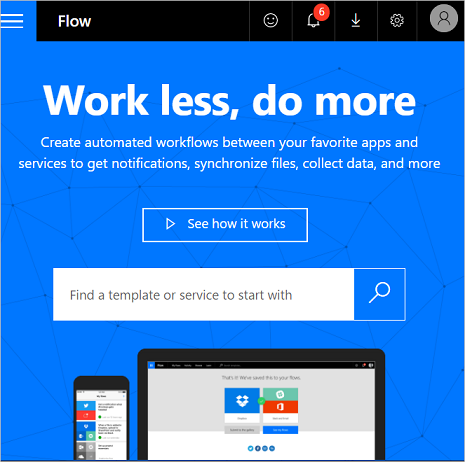 Are PowerApps and Microsoft Flow supported for SharePoint 2016 On-Prem? As a short answer, No, PowerApps and Microsoft Flow are cloud-based services that are not supported for On-Prem SharePoint versions. PowerApps and Microsoft Flow are being licensed to most SharePoint Online tenants (E1, E3, E5, Plan1/ Plan2 and Essentials). Did you consider Microsoft Flow & PowerApps are replacing SharePoint Designer 2016 and InfoPath 2016? PowerApps does not replace InfoPath 2016, and Microsoft Flow does not replace SharePoint Designer 2016. PowerApps creates an entirely new class of capability of building mobile business applications without code. PowerApps can create forms like applications that connect to not only Microsoft products like Office 365 and SharePoint Online but also third-party platforms such as Twitter, Dropbox, Check the full list of connection here. PowerApps can overcome the InfoPath browser forms limitation on mobile where InfoPath browser forms do not work on mobile devices when SharePoint Online mobile view is enabled. PowerApps might be used to create an application where InfoPath might have been used before. Although PowerApps and Microsoft Flow are the successors to InfoPath and SharePoint Designer for many common business scenarios, especially custom forms used on SharePoint lists. but in my humble opinion, I don’t consider they are as a frank replacement for a SharePoint Designer 2016 and InfoPath 2016 yet, which are only a cloud-based solutions, I wish it will support On-Premises in the near feature. PowerApps can be used now to connect to SharePoint On-Premises and retrive data from Lists through a gatway. It’s support Sharepoint On-Premises 2013/2016. How to learn PowerApps and Microsoft Flow? you probably did, the internet shall be a lot more useful than ever before. Many thanks. That’s great information, thanks Mohamed. thank you for your worth information! Thank you for this, Mohamed. Perfect timing for it here; I have shared this with my newest website & blogging client. Hi I read your post very carefully and I think you are right that PowerApps is not a replacement for a SharePoint Designer and InfoPath till now, which is very similar to formotus , Logic Flows is very similar to Zapier, Thank you for sharing. Great suggestions here M! Thank you! This is a very grat information which you have shared with us. As per you said power apps is a replacement of for SharePoint designer. We can check out recently launched SharePoint 2016 features. PowerApps seems to be a cool solution, but I’m not sure it will be able to cover all scenarios carried out previously by SP Designer and Infpath. If you want to have both forms and workflows in one product, check WEBCON BPS. If you’re OK with having them separated, you may also try Nintex or K2. Thanks Paul for your feedback, I think the Power Platform can covers most of scenarios carried out previously by SP Designer and InfoPath but unfortunately, it’s not working on On-Prem yet! In this case you’ll have to either wait or look at the solutions like the ones listed/mentioned above.